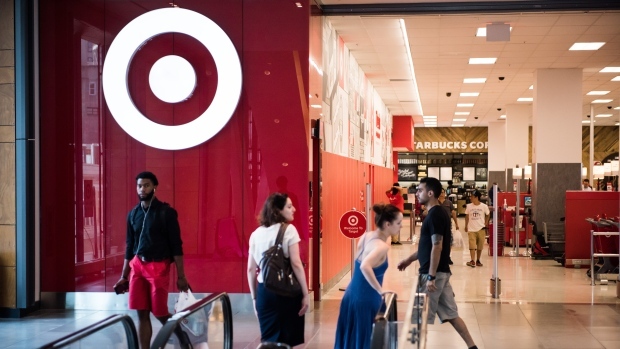 NEW YORK - Target Corp (TGT.N) has agreed to review its policies for screening job applicants and pay US$3.74 million to settle a lawsuit claiming its use of criminal background checks kept thousands of blacks and Hispanics from obtaining employment. The preliminary settlement filed on Thursday with the U.S. District Court in Manhattan requires a judge's approval. It resolves claims that Target, which has performed background checks for employment in U.S. stores since 2001, "imported the racial and ethnic disparities" in U.S. criminal justice system into its hiring, in part by disqualifying job applicants for convictions unrelated to the work they sought. Thursday's settlement calls for experts to review Target's guidelines for using criminal histories in hiring, and help the retailer implement appropriate changes. Eligible blacks and Hispanics who were since May 2006 wrongly denied hourly and entry-level jobs such as cashiers, cart attendants, food service workers and stockers will receive US$1.2 million or "priority hiring." Another US$600,000 will fund nonprofits that help people with criminal histories reenter the workforce, while most of the remaining payout will cover legal and other fees, the settlement said. Target did not admit wrongdoing. Jenna Reck, a Target spokeswoman, said the retailer no longer asks for criminal histories in job applications, but still considers convictions "important" and gathers criminal background information late in the hiring process. "We have a number of measures in place to ensure we're fair and equitable in our hiring," while "maintaining a safe and secure working and shopping environment for team members and guests," she said. That group last year filed a similar discrimination charge against Macy's Inc with the U.S. Equal Employment Opportunity Commission. The plaintiffs were represented by the NAACP Legal Defense and Educational Fund ("LDF"), and the law firm Outten & Golden. "Criminal background information can be a legitimate tool for screening job applicants," but Target's background checks were "harmful to many qualified applicants who deserved a fair shot at a good job," LDF President Sherrilyn Ifill said in a statement.